It’s hard enough giving your body the right amount of fruits and vegetables, but getting your kids to eat them can be even more difficult. When I heard about the Birds Eye Green My School Event I was so excited to be a part of it! Birds Eye Vegetables is a committed partner in helping children and families eat more vegetables. The Environmental Media Association believes that through television, film and music, the entertainment community has the power to influence the environmental awareness of millions of people. Throughout the year, EMA participates in and creates celebrity-driven eco-focused events that garner vital media and public attention. Together Birds Eye Vegetables and the EMA have teamed up on a program that is going to change a lot of lives. We are so excited to be a part of it, and feel so lucky to have participated in one of the events. Select celebrity “Green My School” Ambassadors are heading back to their home towns to promote the importance of eating the right amount of fruits and vegetables that your body needs. It was incredible to be a part of this project, and see first hand the difference things like this can make in a child’s life. 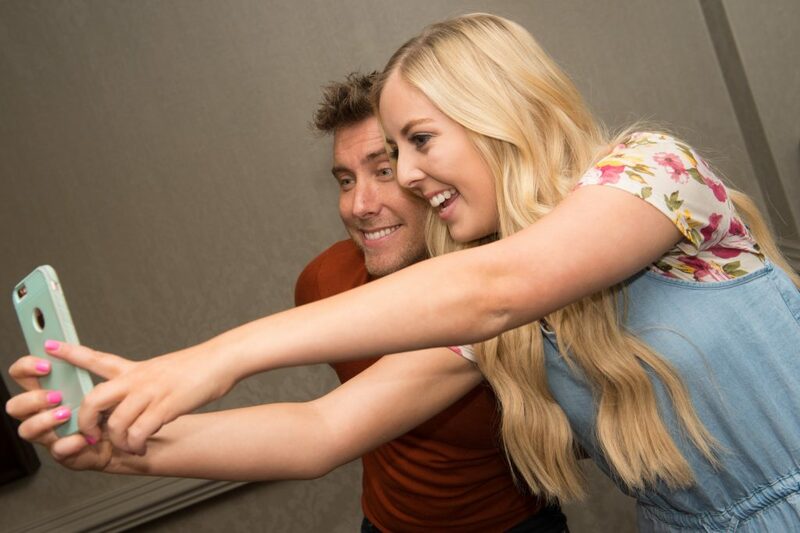 You can probably imagine how excited the 14 year old girl inside of me was when I found out I was going to be spending the week with Lance Bass. The first CD I ever owned as a pre-teen was his No Strings Attached album from NSYNC. I felt like a little school girl spending the day with him, and was so impressed at this passion in encouraging others to feed their bodies the best of the best. 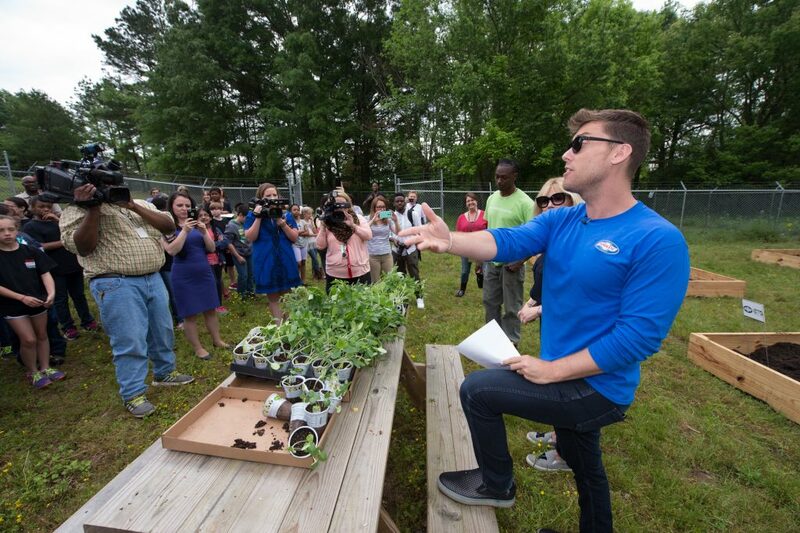 We headed out to Clinton, Mississippi, where Lance Bass attended elementary to a small garden plot just across the street from the school. Students took turns digging holes and planting vegetables with help from Lance and a few gardeners on site. 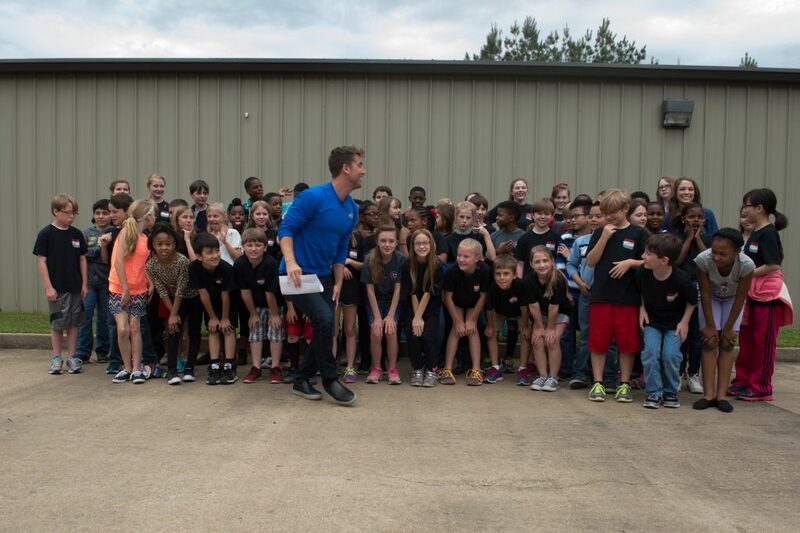 It was so fun to see these kids so excited to be a part of something like planning a garden. I overheard a few girls talking about how excited they were to plan their own gardens at home. Birds Eye Vegetables had such a significant impact on these children, and I couldn’t wait to get home and start doing my part here in Utah! The whole message of this program is extremely powerful. No matter what stage of life you are in, it’s important to take care of our bodies. 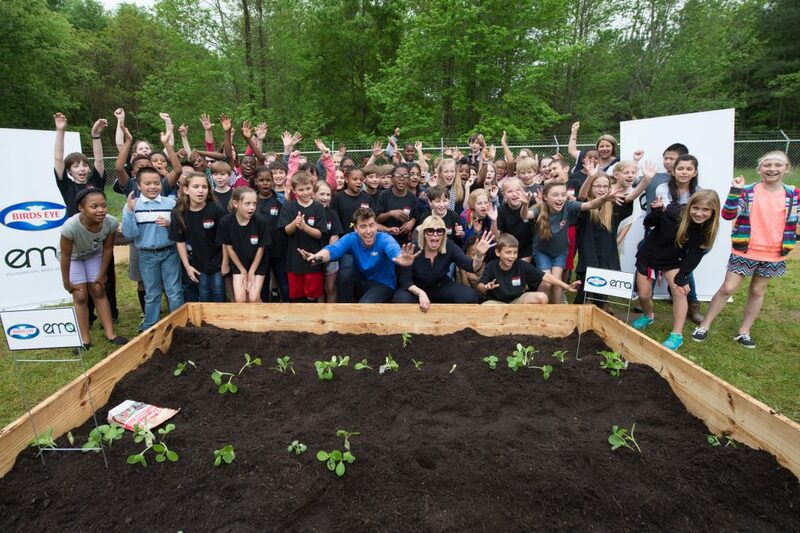 These kids not only learned the importance of eating fruits and vegetables, but were shown how to grow and take care of the vegetables themselves. Teaching these habits to young kids is going to benefit them in so many different ways. It was so much fun getting to be a part of this, and I’m not just saying that because I met my childhood dream man. I can’t wait to visit again and see what these adorable kids have done with their garden. Do you garden? What are your favorite things to grow? How do you incorporate your children and their help in your own garden? Let us know in the comments below!